Glen Parker is a Charter member of the Ellis County Detachment, 1452 of the Marine Corps League Inc. He has been dedicated from day one to move this detachment forward into future success, which he has been progressively playing a huge part in. Glen is always counted on to be there in a time of need and continually proves that he lives by the Marine Corps' motto of Semper Fidelis, meaning Always Faithful. Within the first year of the detachment's existence it can easily be said that multiple events, primarily including the first Annual Marine Corps Birthday Ball, would not have been a success without his hard work and leadership to make them the successes that they were. 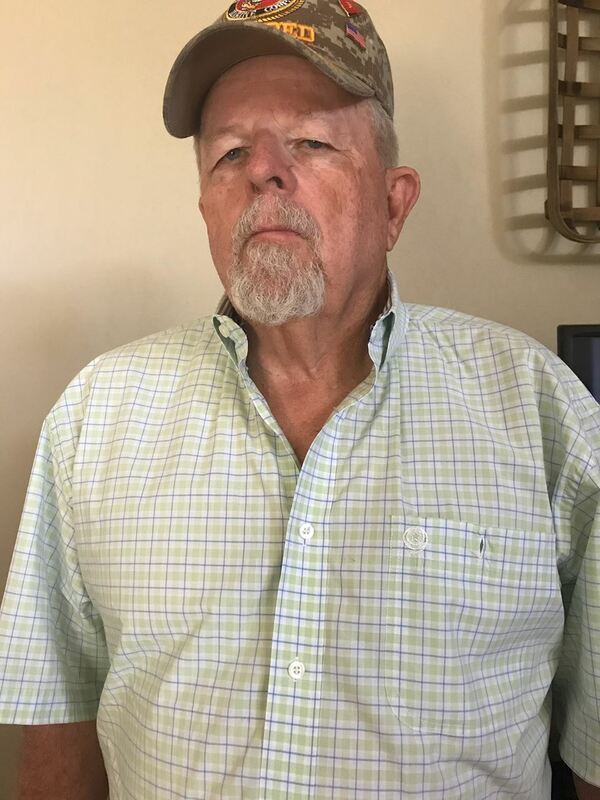 "I joined the Corps in December of 1966 to be with several friends from Wichita Falls, Texas who were already on active duty. After graduation from Boot Camp I served in Okinawa, Japan and Vietnam and was promoted to Lance Corporal in 1967 and Corporal in 1968. I was transferred back to Vallejo, California; was promoted to Sergeant and left the Corps with an Honorable discharge in 1970. Civilian life didn’t agree with me so I went back on active duty, starting over as a Private First Class in 1972. I had been promoted a couple times before entering Drill Instructor School in 1973 and loved every minute of it. Training those young men to become the best Marines they could be was something I will always be proud of. I received a meritorious promotion to Sergeant in 1973. The next few years I served in Iwakuni, Japan and El Toro, California and received a promotion to Staff Sergeant. After attending Recruiting School and the Staff Academy I went to Recruiting duty in North Dakota where I was promoted to Gunnery Sergeant. I left recruiting duty and returned to Japan and then California as a Logistics/Embarkation Chief. I was promoted to Master Sergeant in Okinawa in 1987. I retired in 1990. However, when Desert Storm came into play I felt I just had to return. I served as the Logistics Chief in Cherry Point, North Carolina with the Military Airlift Group - 39 (MAG 39). I wanted to go to the desert but was told I had an important part to play stateside. I retired again in 1992. I have worked in the warehouse/logistics field since my retirement from the Corps and retired from the Ellis County Sheriff’s Dept in 2017. The League has been a joy and godsend to this ole Marine because it has given me another objective to achieve. I am proud to serve alongside my brothers and sisters in supporting our efforts to help others."